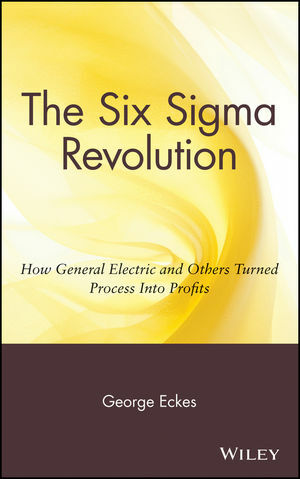 Includes new and expanded coverage of Six Sigma infrastructure building and benchmarking. Provides plans, checklists, metrics, and pitfalls. Forrest W. Breyfogle III is the founder and President of Smarter Solutions, Inc., a company specializing in training andconsulting in Six Sigma methodologies. 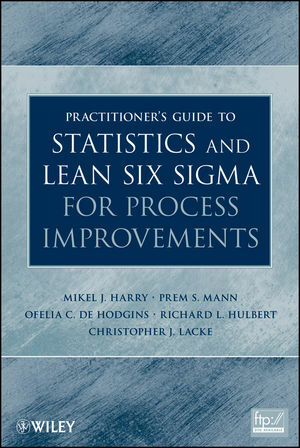 He is the author of Statistical Methods for Testing, Development, and Manufacturing and Implementing Six Sigma and coauthor of Managing Six Sigma, all published by Wiley. PART I: S4/IEE DEPLOYMENT AND DEFINE PHASE FROM DMAIC. 1. 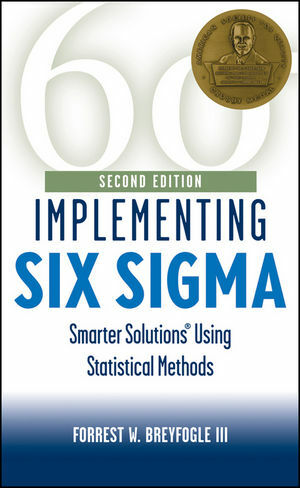 Six Sigma Overview and S4/IEEE Implementation. 2. Voice of the Customer and the S4/IEEE Define Phase. PART II: S4/IEE MEASURE PHASE FROM DMAIC. 3. Measurement and the S4/IEEE Measurement Phase. 4. Process Flow Charting/Process Mapping. 7. Overview of Distributions and Statistical Processes. 8. Probability and Hazard Plotting. 11. Process Capability and Process Performance Metrics. 13. Cause-and-Effect Matrix and Quality Function Deployment. 14. FMEA (Failure Mode and Effects Analysis). PART III: S4/IEE ANALYZE PHASE FROM DMAIC (OR PASSIVE ANALYSIS PHASE). 16. Confidence Intervals and Hypothesis Tests. 18. Inference: Attribute (Pass/Fail) Response. 19. Comparison Tests: Continuous Response. 20. Comparison Tests: Attribute (Pass/Fail) Response. 23. Correlation and Simple Linear Regression. 24. Single-Factor (One-Way) Analysis of Variance (ANOVA) and Analysis of Means (ANOM). 25. Two-Factor (Two-Way) Analysis of Variance. 26. Multiple Regression, Logistic Regression, and Indicator Variables. PART IV: S4/IEE IMPROVE PHASE FROM DMAIC (OR PROACTIVE TESTING PHASE). 27. Benefiting from Design of Experiments (DOE). 28. Understanding the Creation of Full and Fractional Factorial 2K DOEs. 30. Design and Analysis of 2K DOEs. PART V: S4/IEE CONTROL PHASE FROM DMAIC AND APPLICATION EXAMPLES. 34. Short-Run and Target Control Charts. 36. Exponentially Weighted Moving Average (EWMA) and Engineering Process Control (EPC). 38. Control, Plan, Poka-Yoke, Realistic Tolerancing, and Project Completion. 40. Reliability Testing/Assessment: Repairable System. 41. Reliability Testing/Assessment: Nonrepairable Devices. PART VI: S4/IEE LEAN AND THEORY OF CONSTRAINTS. 44. 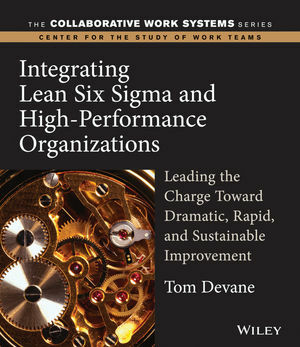 Lean and Its Integration with S4/IEEE . 45. Integrating of Theory of Constraints (TOC) in S4 /IEE. PART VII: DFSS AND 21-STEP INTEGRATION OF THE TOOLS. 46. Manufacturing Applications and A 21-Step Integration of the Tools. 47. Service/Transactional Applications and A 21-Step Integration of the Tools. 48. DFSS Overview and Tools. PART VIII: MANAGEMENT OF INFRASTRUCTURE AND TEAM EXECUTION. 52. Project Management and Financial Analysis. 55. Alignment of Management Initiatives and Strategies with S4/IEEE . Appendix B. Equations for the Distributions.